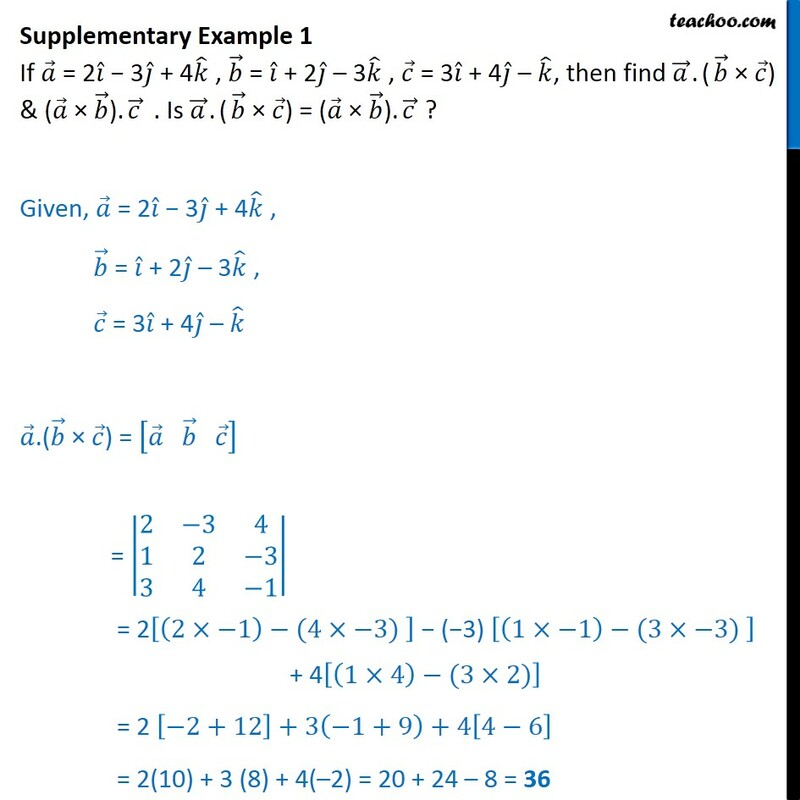 Supplementary Example 1 If = 2 3 + 4 , = + 2 3 , = 3 + 4 , then find . ( ) & ( ). . Is . ( ) = ( ). ? 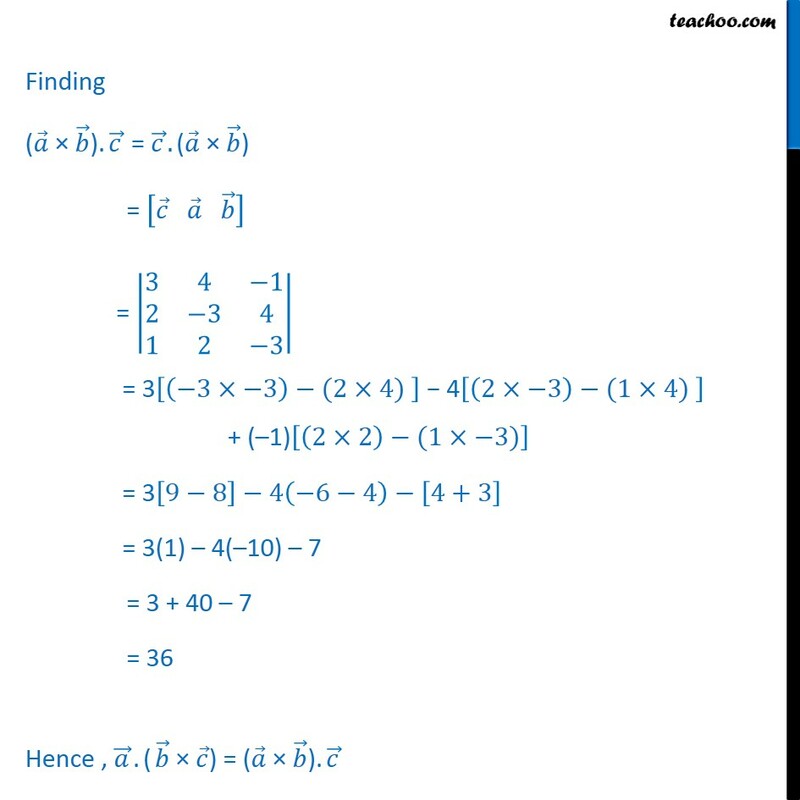 Given, = 2 3 + 4 , = + 2 3 , = 3 + 4 . ( ) = = 2 3 4 1 2 3 3 4 1 = 2 2 1 (4 3) ( 3) 1 1 (3 3) + 4 1 4 (3 2) = 2 2+12 +3 1+9 +4 4 6 = 2(10) + 3 (8) + 4( 2) = 20 + 24 8 = 36 Finding ( ). = . ( ) = = 3 4 1 2 3 4 1 2 3 = 3 3 3 (2 4) 4 2 3 (1 4) + ( 1) 2 2 (1 3) = 3 9 8 4 6 4 4+3 = 3(1) 4( 10) 7 = 3 + 40 7 = 36 Hence , . ( ) = ( ).